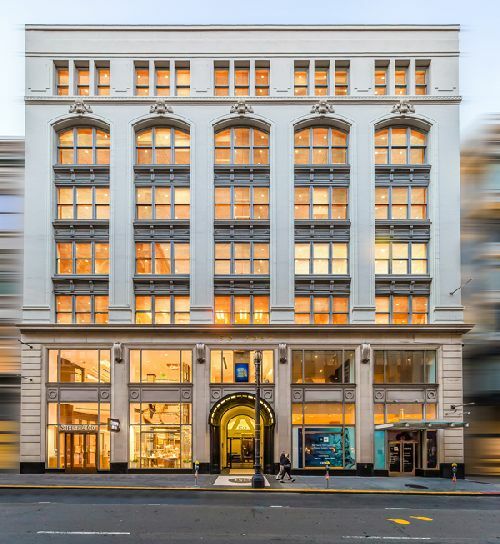 Madison Capital has awarded the retail leasing, office leasing and property management assignments for 150 Post Street in San Francisco to Cushman & Wakefield. The 110k sf building is located one block east of Union Square in San Francisco’s Financial District. Madison Capital acquired 150 Post Street through a joint venture in August 2017. The building was previously owned by a real estate investment trust for approximately 20 years. 150 Post Street includes 16.8k sf of retail space that is currently available for lease. The remainder of the building’s retail space is occupied by Shreve & Company, who relocated to the building earlier this year. The office component of 150 Post Street includes 3.1k sf of available office space. An additional 11.1k sf of office space is coming available in the upcoming months. The retail leasing assignment will be handled by C&W’s Kazuko Morgan, Courtney Griffin, and Mary Kate Banchero. The office leasing assignment will be led by Sam Wasserstein and Danny Pickard. They will work with Madison Capital’s J. Joseph Jacobson, Jonathan Nachmani and Justin Cesario.